I love reading outside in the spring time….the kids are playing happily in the field and I can relax in my lawn chair for an hour each afternoon with a good book. This month, I am enjoying two wonderful reads from Howard Books and you are sure to want to add these titles to your reading list. 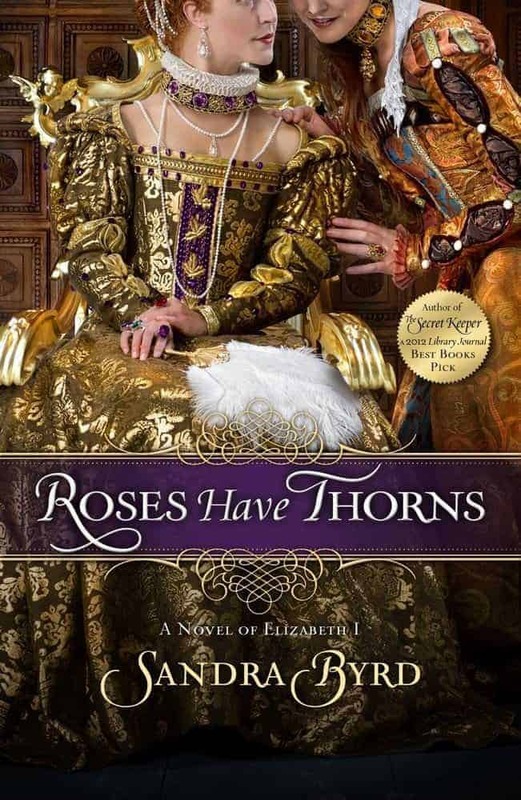 Roses Have Thorns: A Novel of Elizabeth 1 by author, Sandra Byrd is an excellent work of historical fiction. This story is expertly written from the perspective of the main character, Elin who is a young woman from Sweden who travels to England and ultimately the highest ranking woman in the Queen’s court. What makes this novel so interesting is that the author brilliantly weaves a captivating and unique story that includes a love story and political court intrigue complete with treachery and betrayal. Reading this novel, I felt as though I was transported back to the court of Queen Elizabeth 1 and appreciated the well-developed charters and solid plot line. This trade paperback is available for purchase with a SRP of $14.99/$16.99 (US/Canada). My husband grew up just outside of Amish country in Ohio so we love to explore the beauty of this area whenever we travel to his home town. I have always enjoyed Amish fiction and take great pleasure that this genre has seemed to explode with new titles over the past few years. I just finished reading, Hidden Mercies by Serena B. Miller and it was a lovely, inspirational romance. In this novel, young Claire is left at the altar due to a horrible tragedy. Years later, she is a widowed Amish midwife who unexpectedly takes in a disfigured soldier named Tom as a boarder renting a room in her home. What she doesn’t realize is that Tom is a haunted Amish man that she once knew who was filled with guilt, left the Amish community and joined the armed forces. Will Claire and Tom comes to term with their grief and find happiness and ultimately love? I stayed up well into the night in order to find out the answer and it was definitely worth it. You can purchase this title for the SRP of $15.00/$17.00 (US/Canada). Connect with Howard Books on Facebook and Twitter. oooohh! roses have thorns sounds good! This book sounds like such a great summer read! I will definitely check it out. Thanks for the review! I have never read any Amish fiction, or non-fiction, for that matter. I would like to learn a few things about their way of life, and their Amish customs. My Mother in law just recommended this book to me the other day as well. I’m taking it as a sign. Can’t wait to start reading it!